My girlfriend and I bought this suitcase several months ago, and it is as good as new even after dozen of trips so far. The price was very affordable, and the quality far surpassed our expectations. Definitely one of the best deals currently available. Buy one before they run out of stock. The hard shell is lightweight and very strong, and the texture is resistant to scratches, at least mild and light wear and tear damage. 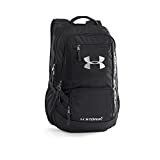 You’ll like how reliable the handle and the wheels are, and definitely love the internal compartment and how nicely organized it is. The color makes the design even more noticeable and attractive. It looks elegant, stylish, and very compact. 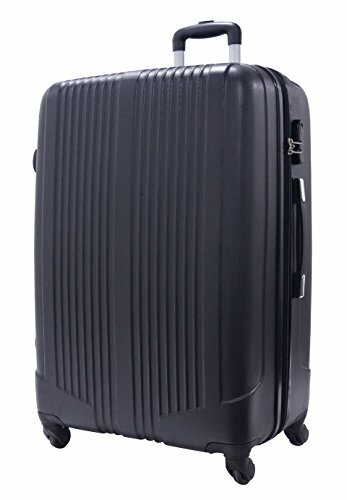 Given how durable the plastic on the surface is, along with the handle and wheels, this Medium Hard Shell 4 Wheel Spinner ABS Suitcase can definitely be compared – and quite rightly so – with far pricier brands and models. Basically, we got exactly what other people get from a Samsonite suitcase, without overpaying twofold. The trolley system is very reliable and smooth, and each wheel can turn a full 360 degrees circle. 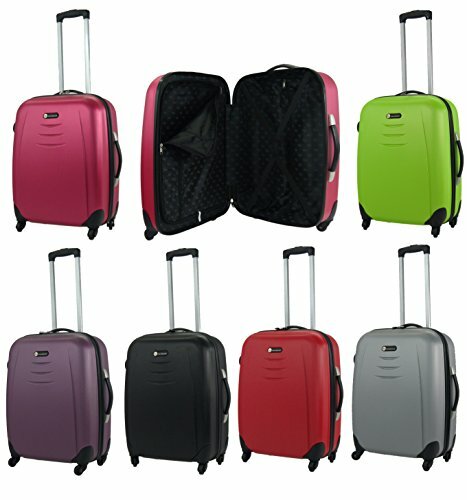 This helps a lot with maneuvering around, and taking this suitcase wherever you go is smooth and friction free. The wheel mechanism alone is not what sets this suitcase apart from others. 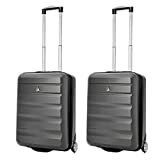 You’ll notice the handle which is height adjustable, is very durable as well, and cannot get out of its socket no matter how hard you try by lifting the suitcase when full. Another thing you’ll love is how nicely organized the internal compartment is. You have straps for fastening your wardrobe, but also an additional compartment which can very well serve as another main compartment, that is zipped and quite spacious. You’ll find 15 reviews on Amazon that describe this suitcase. Reading them convinced me to order, and I’m glad that I did. 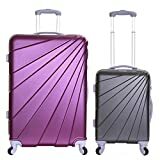 For those of you who need a modern, compact, and reliable suitcase, you can get this Medium Hard Shell 4 Wheel Spinner ABS Suitcase without paying extra money like you would with other more expensive brands.